A-9 Cutting Fluid, 16 oz. 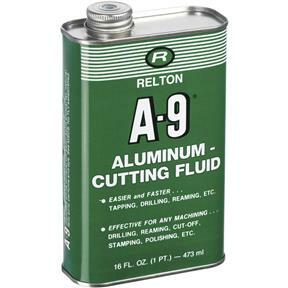 Relton A9455 - A-9 Cutting Fluid, 16 oz. I bought the A-9 cutting fluid for use on milling a large aluminum frame. A-9 really helped make a cleaner cut.